After delivery, do we need to charge or assemble the ServerLIFT before starting to use it? No. Every ServerLIFT will arrive fully charged, assembled, and ready to use. Powered units that ship overseas may be shipped with the battery disconnected to conserve charge. In this case, open up the access door and connect the battery as described within the operator’s manual. A fully charged battery should last through a full day (up to 12 hours) of average use. How often should I charge the device? To maximize battery life, we recommend keeping the data center lift plugged in and charging when not in use for extended periods. Keeping it unplugged for extended periods will drain and reduce the capacity of the battery. Under ideal conditions our standard, deep-cycle batteries usually last three to five years. When maintained according to our directions, they have been known to last up to a decade. Batteries that are allowed to get very low before charging will not last as long and may fail to recharge in some cases. Should I be able to move our lift even with the stabilizer brake engaged? The primary function of the stabilizer brake is not to provide braking, but to impart device stability when moving equipment side to side on the sliding platform. The stabilizer brake also serves a second function: preventing movement of the data center lift when raising, lowering, or loading equipment. If it moves easily with the stabilizer brakes engaged, please check that both stabilizer brake rubber boots are installed and that the braking system locks when engaged. Otherwise, contact ServerLIFT Service & Support. Does the ServerLIFT have powered wheels or a drive system? No. The operator must push the unit to the destination, but this is made as easy as possible with oversized swivel caster wheels. Can we restrict how high the device’s platform and column will go? ServerLIFT devices have a feature where the maximum height of the platform and telescoping column is up to 1 ft lower than its factory-set maximum height. Please contact ServerLIFT Service & Support to find out if your device has this feature and to learn how to use it. Will raised floors accommodate a ServerLIFT unit? Yes. If the floor is already accommodating loaded racks, it will also accommodate a ServerLIFT unit with equipment loaded on it. How often does a ServerLIFT require maintenance? We recommend an annual inspection and oil change for powered models. Maintenance service is recommended once every three years for manual hand-crank models. Does ServerLIFT offer onsite repair and maintenance services? Yes. In the United States and Canada we dispatch from a vetted and trusted network of third-party technicians that work under our technical direction for onsite service. 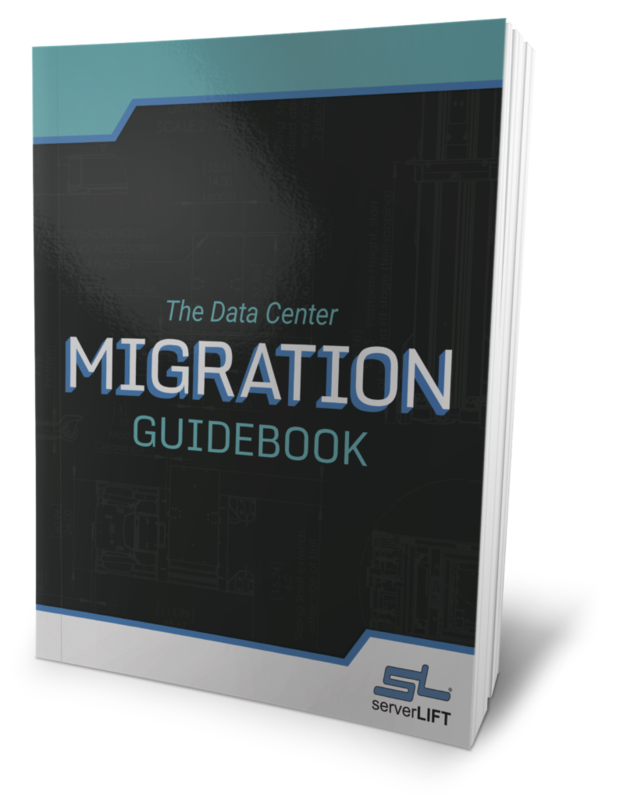 In other international locations, onsite service may be handled the same way, or, depending on the region, the service will be handled by one of our global distribution partners. In the case of remote or difficult-to-access locations, we can work with your staff or technicians of your choice to perform the service under the direction of our internal Service and Support team. Can service technicians maintain non-ServerLIFT equipment? Unfortunately, we cannot authorize or recommend any work on equipment that was not manufactured by ServerLIFT. 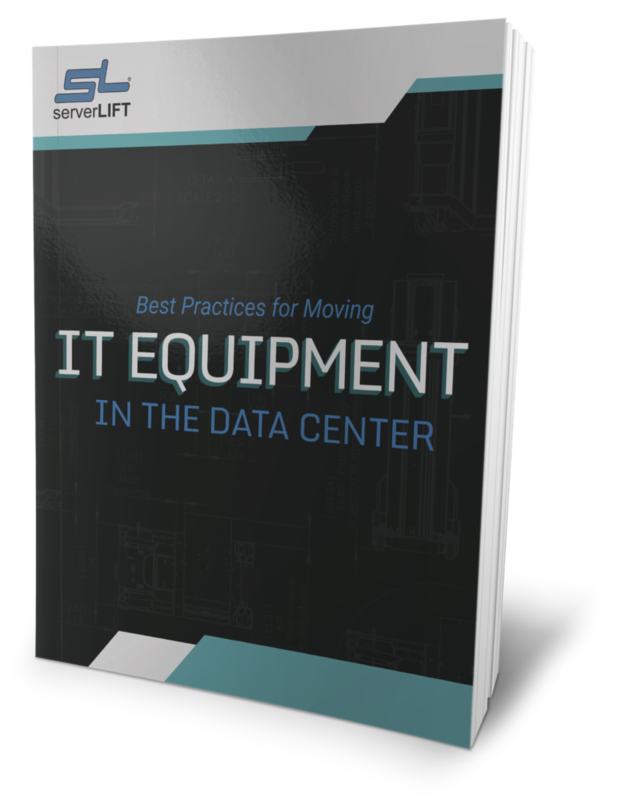 Should we be doing any ongoing maintenance to our ServerLIFT data center lift? ServerLIFT offers preventative maintenance through our optional service contract and extended warranty. However, the devices are designed to handle years of regular use with little or no maintenance. To extend the life of the onboard battery, it is important to keep the unit charging when not in use. We lost both of our keys. Can ServerLIFT send us replacements? To maintain our client’s privacy and security, ServerLIFT does not keep records of the key profile for each device. We recommend having duplicate keys made and keeping them in a secure area. If you have lost all keys, ServerLIFT can provide a replacement lock and key set that can be installed by you or a ServerLIFT technician. Do all of your warranty options include onsite service? 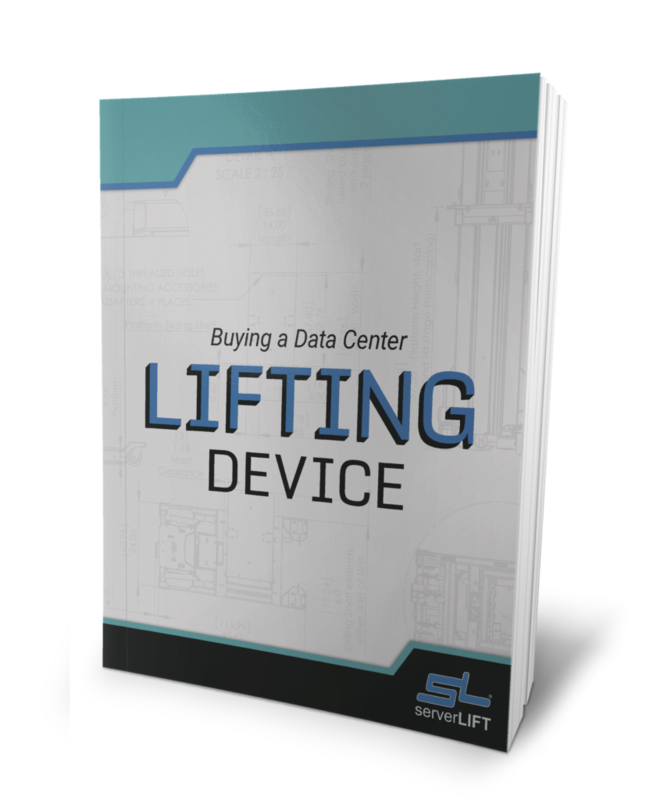 Every ServerLIFT data center lifting device is sold with a limited one-year warranty that covers the replacement, including shipping, of parts that have failed under normal use conditions. This does not include the labor or onsite service to swap out the old part(s) with the new one(s). ServerLIFT does offer one, three, and five-year extended service and warranty contracts that include onsite labor when needed. These warranty extensions include a year-end or mid-term onsite preventative maintenance service. These extended warranties are also available (to extend the limited warranty coverage beyond the first year) without onsite labor at a lower rate. These warranty extensions include a year-end or mid-term service kit shipped to your location so you can perform the preventative maintenance service. Are there other options for non-warrantied maintenance service? We offer maintenance kits that include all of the tools and materials for an inspection and oil change. We can also arrange a tech service visit. Fees will apply and may vary based on service location. Why is there only a single-year renewal option for the SL-500? The SL-500 is a discontinued model. Availability of replacement parts is limited. Do extended warranties include replacement batteries? The charge indicator is full, but the battery seems to be dead. The charge indicator only reads a surface charge. The battery may be tested directly with a multi-meter. The battery level indicator always shows a low power level, no matter how often or how long we charge the unit. Do we need a new battery? Sometimes the battery level indicator can be particularly sensitive to changes in battery voltage. If the indicator is always showing a low level, your battery’s maximum power level may have just been somewhat reduced. 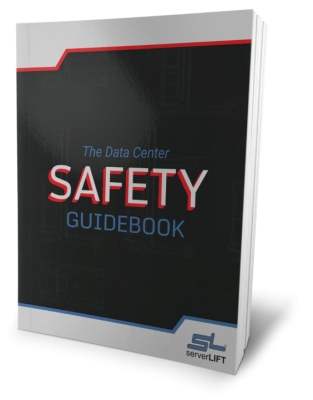 If your data center lift can be used for the entire day without needing to be recharged, the battery is considered to be working under normal operating conditions. My ServerLIFT is having trouble turning. What might be wrong? Check to make sure the front casters are not locked. Pull the ring pin and turn it 90°. The winch seems to be making a clicking noise—is it safe to use the ServerLIFT? 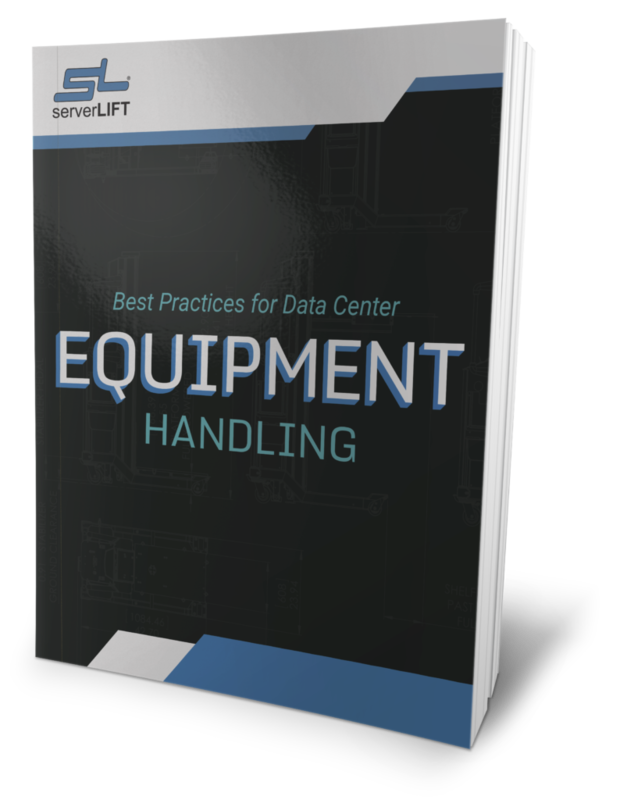 There shouldn’t be anything wrong with your ServerLIFT and it is safe to use. This sound is normal and expected. The brake winch gears turn against the clutch, which causes the clicking sound. What if the power light stays on regardless of the key lock position? The only effect this will have is slowly draining the battery. We recommend replacing the circuit board. The platform will raise but not lower. What should I do? Please contact [email protected]. We can guide you through testing the circuit board and lower limit switch. The platform will lower but not raise. What should I do? Please contact [email protected]. We can guide you through testing the upper limit switch, TouchSTOP Sensor, and circuit board. How often does the SL-350X® winch require lubrication? Lubrication should never be required. The SL-350X winch gears are self-contained. How often is live customer service available? We are available from 9 AM to 4 PM MST, Monday through Friday. 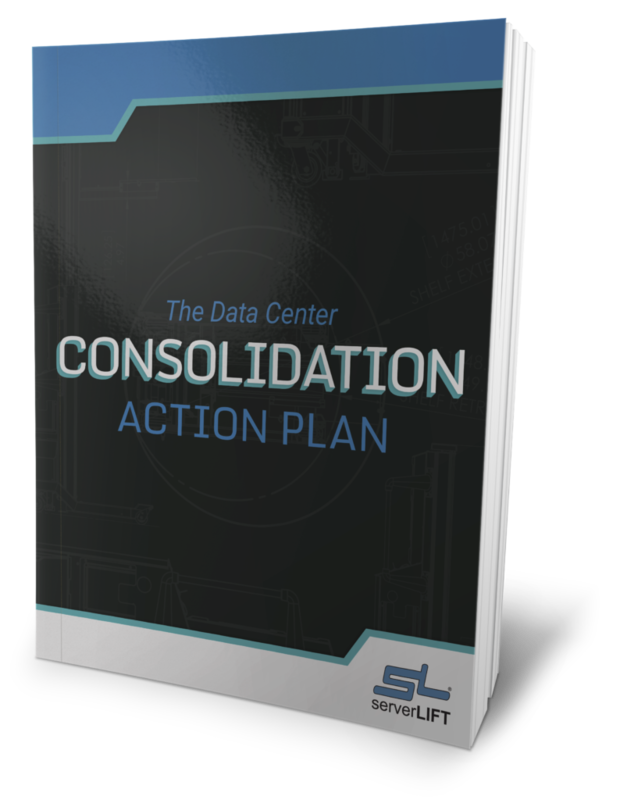 What is the typical lead time for replacement parts orders? We typically process orders within one business day of receiving them. Shipping times vary from overnight to one week depending upon shipping options requested. Do you have overseas distributors that can supply replacement parts? Replacement parts can be sourced directly from us or any one of our numerous distribution partners worldwide. Contact [email protected] for more information. What is the lead time for a ServerLIFT to ship out? Most orders ship within five to ten business days after receipt of the order. Once the order is accepted and all required documentation is received (such as receiving and delivery contact information and approvals of requested charges not on the PO), North American-bound orders may ship within a day or two. What is the lead time for a ServerLIFT to be delivered? Shipments within the contiguous United States and Canada usually deliver within five to ten business days, but delivery within three to five days is possible upon request. International shipment times can take anywhere from 15—45 days or more depending on the destination, shipping schedules, and customs requirements. A more specific schedule or estimate can be made available prior to or at the time of your order. Will my equipment be safe and secure during transport? Yes. ServerLIFT includes heavy duty ratchet straps with every machine. To allow for a variety of equipment sizes, the platform and frame have multiple points of attachment for the strap hooks. Can I use my/our freight company to ship the order? Yes, you can certainly use your own carrier for the shipment. However, we strongly recommend working with us to ship the goods to your dock (or port of entry for international shipments) because we are concerned about incidences of mishandling and damage of shipments. ServerLIFT Corporation protects against shipping losses by handling every shipment of goods with our own experienced carriers and protects them with our own insurance policy. If you do choose to use your own carrier, ServerLIFT holds no liability or responsibility for what happens to the equipment after it leaves our dock. In this case, we recommend that you utilize the services of a van line or moving company in lieu of a common carrier. What is the tracking number for my shipment? The tracking number we provide is an internal ServerLIFT number. As we do not use traditional carriers, tracking details that would allow you to regularly check the status of a shipment are not available for our shipments. We also utilize our own network of carriers, so pointing to one for a specific shipment would not be meaningful. The delivery also depends on the appointment window that the receiving party requests with our dispatch. Once delivery has occurred, we will send out a delivery notification that includes the date delivered and the name of the receiver who signed for it. What happens if we can’t receive the order when it is delivered? Deliveries are notified and scheduled in advance. However, in the event that our carrier is unable to deliver due to issues with the recipient, the order will be stored in a local warehouse until such time that you can receive the goods. Storage and re-delivery fees may apply. Will the driver bring the order inside and unpack it for us? Only if this is requested in advance. Standard shipping is delivered to your dock. We have a number of special services including inside delivery and unpacking, but these services cost extra. Our shipping department will ask you in advance if you want these services and approve of the associated charges. Can we take possession of the goods somewhere other than the final destination? Yes, you can. You are, however, liable for any damage, including damage due to shipping or mishandling that may occur after we deliver the order to your named place of delivery. Note that for international destinations, international pricing and export documentation fees still apply even if you take possession within the United States. Once a PO is issued, what is the lead time on delivery of my order? The lead time will be 3-5 business days after the receipt of all requested and correct documentation needed to process the order. Can I ship my order myself using my own carrier? We strongly recommend against the use of common freight carriers (such as FedEx Freight, Yellow, Roadway, etc.). ServerLIFT pallets are heavy and at risk for shipping abuse and mishandling. ServerLIFT only uses carriers that specialize in moving services or that operate with a white glove service standard to ensure products arrive at their final location in good order. If you insist on FOB Origin terms with your own carrier, please note that ServerLIFT will not be liable for any damage created to the product after the shipment leaves our warehouse. ServerLIFT accepts most standard forms of payment including checks, credit cards, ACH, and wire transfers. Credit card payments must be charged at the time of shipment regardless of your account credit terms. Can we qualify for payment credit terms? ServerLIFT is pleased to offer our clients, even new ones, with standard net 30-day payment terms with account credit limits under $30,000. No credit check is required to qualify for our standard payment terms. Payment terms longer than 30 days or credit limits for orders/accounts over $30,000 may be available upon request by running your companies credit through a simple underwriting process. Terms and conditions may apply. Please contact our service and support team for more information. Are sales or use taxes applied to the order total? No, we do not charge or collect sales and use taxes except for direct (non-resale) orders delivering to locations within the U.S. state of Arizona. ServerLIFT does not maintain any nexus outside of the state of Arizona, and as such does not collect sales and use taxes on behalf of the purchaser in any other jurisdiction. The purchaser is responsible for paying any and all applicable sales and use taxes. Do I have to purchase directly or can I buy through a reseller? We sell directly to the end-user, and we are also happy to work with any and all resellers. ServerLIFT is committed to a great customer experience.